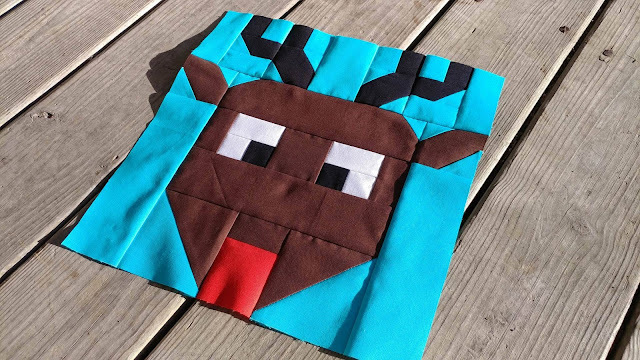 The "Reindeer Games" block was designed by Bobbi at Snowy Days Quilting. You can find the tutorial and pattern for the block on her blog here. This block was the sole reason I had to add Kona Chocolate to my color palette! I know I could have used a non-traditional color, but I just couldn't do it! If you remember, I snuck some of the Chocolate in my block two for the trunks of the trees too. 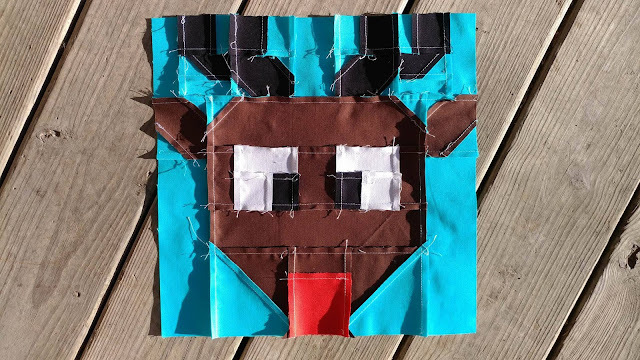 For this block, I also used Kona Breakers for the background, Moda Bella 98 White for the eyes, Kona Lipstick for the nose, and Kona Black for the eyes and antlers. 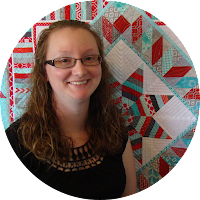 Bobbi's pattern is well-written and easy to follow. 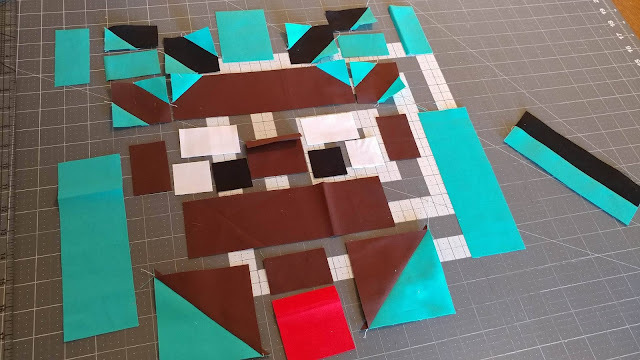 I like to cut all the pieces and arrange them on my cutting mat to stay organized as I sew each piece. I love to watch it come together! As with several of the blocks, I didn't draw diagonal lines when those were needed. I like to use my laser instead! (See my post on adding a laser to any sewing machine here.) 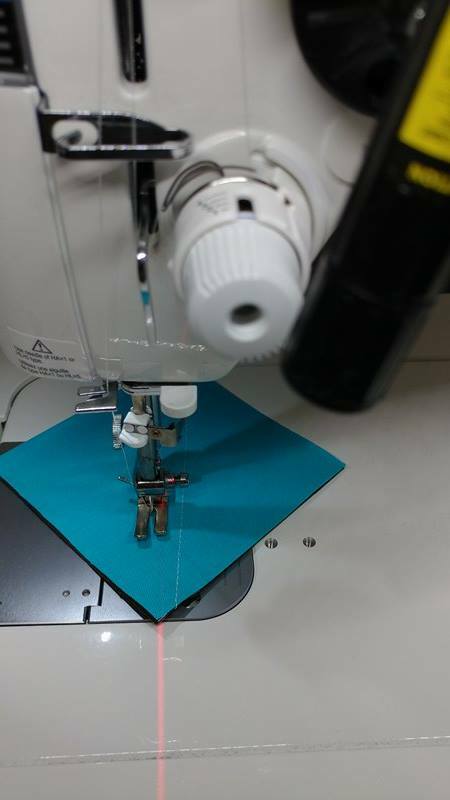 I line up the laser with the needle for the stitch and flip corners. 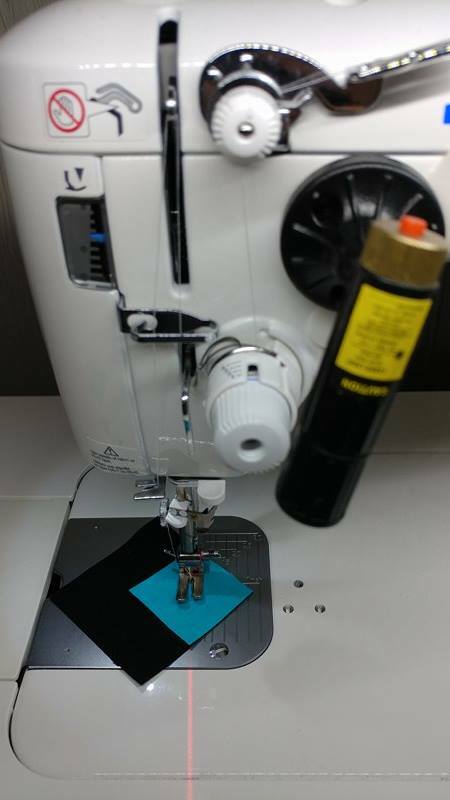 And I line up the laser 1/4" to the side of the needle when sewing half-square triangles. I always keep the corners of the squares lined up with the laser line. The laser saves so much time! 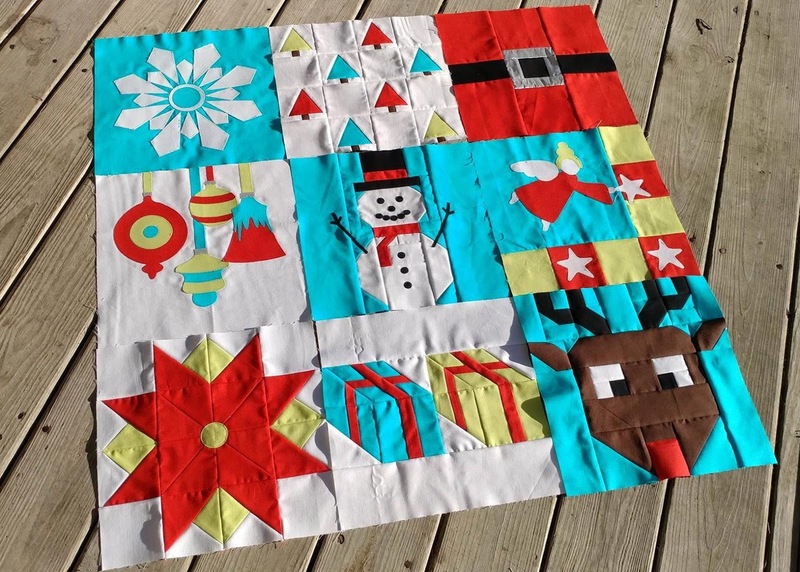 Once pieced, the block finishes at 12 1/2" square - no need to trim! 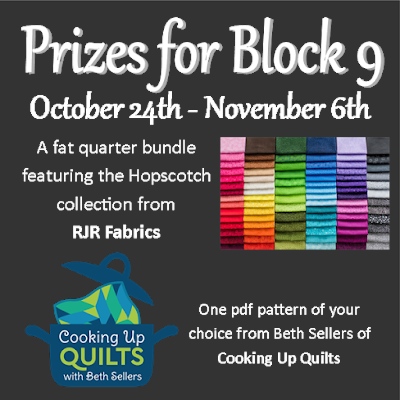 There are only three more blocks to go! Be sure to share a picture of your finished Reindeer Games block before November 7th to be entered to win prizes! 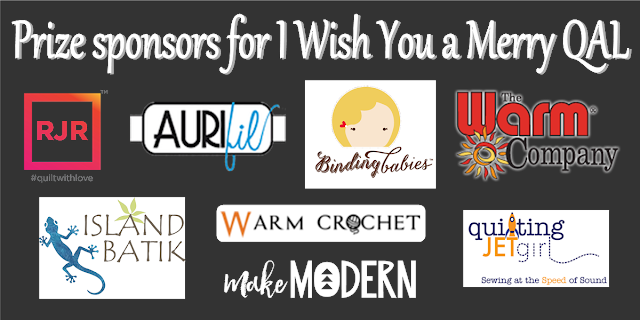 You can post a picture in the Facebook group, on Instagram using #iwishyouamerryqal, or link up to the linky party at the bottom of Bobbi's tutorial post. 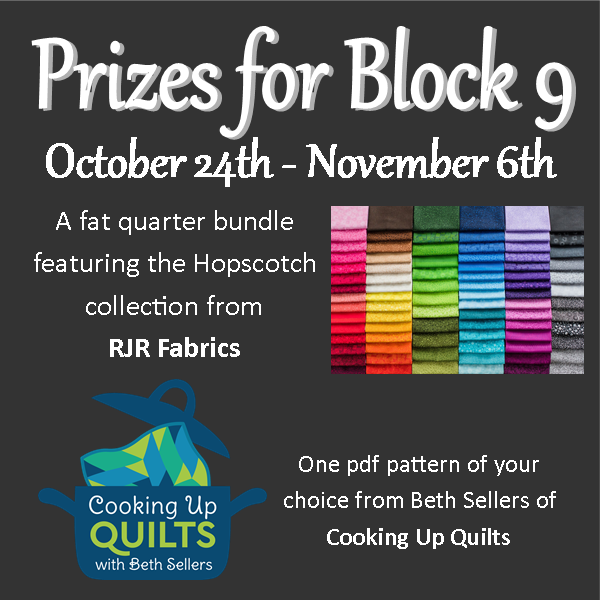 The prizes for Block 9 are a fat quarter bundle of the Hopscotch collection from RJR Fabrics AND a pdf pattern of your choice from Cooking Up Quilts! All prizes during the QAL will be open to participants worldwide! Linking up with Main Crush Monday at Cooking Up Quilts, Monday Making and Love Laugh Quilt, Linky Tuesday at Freemotion by the River, Let's Bee Social at Sew Fresh Quilts, Midweek Makers at Quilt Fabrication, Wednesday Wait Loss at The Inquiring Quilter, Needle and Thread Thursday at My Quilt Infatuation, Finished or Not Friday at Busy Hands Quilts, Can I Get a Whoop Whoop at Confessions of a Fabric Addict, TGIFF at Summer Lee Quilts, and Finish It Up Friday at Crazy Mom Quilts. Using the laser that way is brilliant! Great tip. 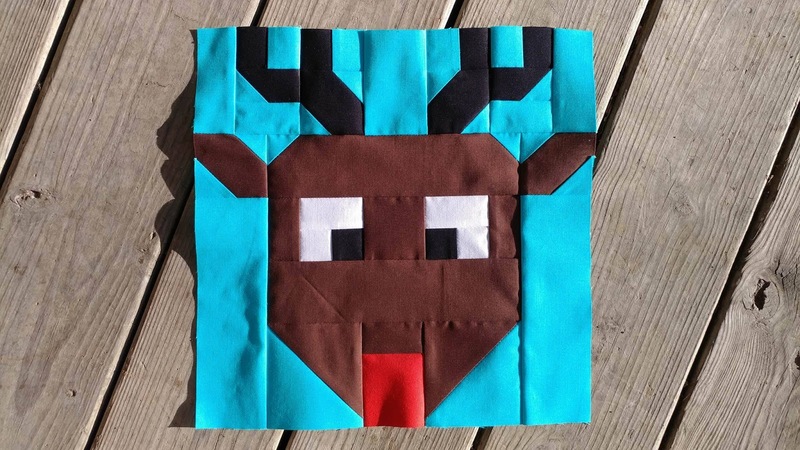 Your reindeer is a great addition to the other blocks. 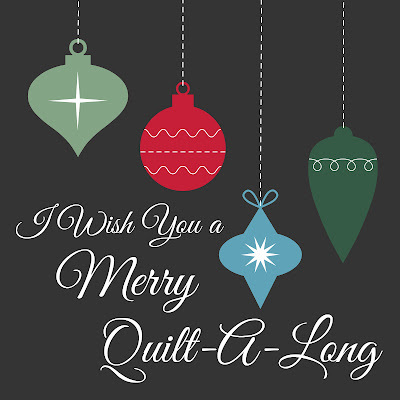 Can't wait to see your final quilt. Your block is great! I seriously debated going with black antlers myself. He's very cute! I think his nose is surprising him too! 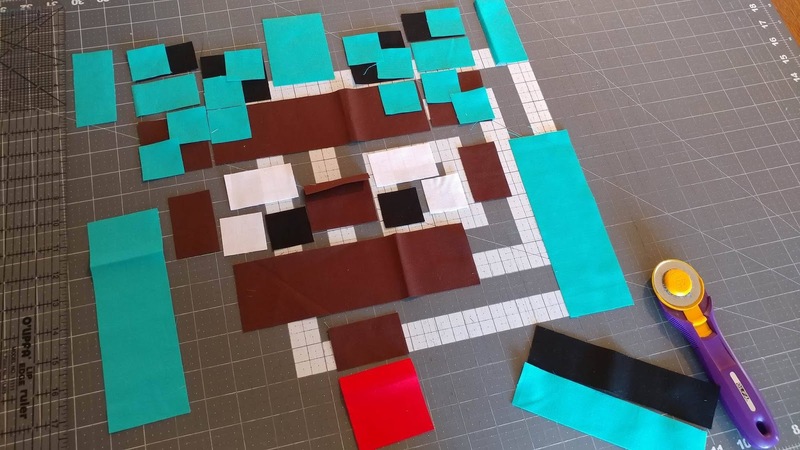 Your blocks are fantastic! The colors work so beautifully together and are so fun to look at. 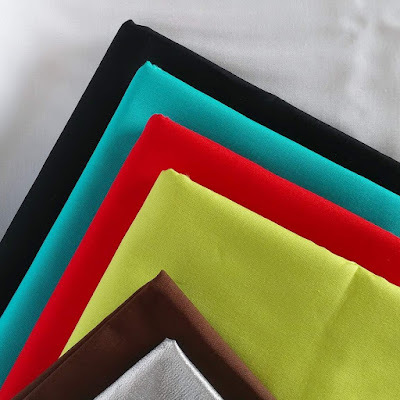 Thanks for linking this up to Wednesday Wait Loss, Laura! I love your blocks and how wonderful they look together. 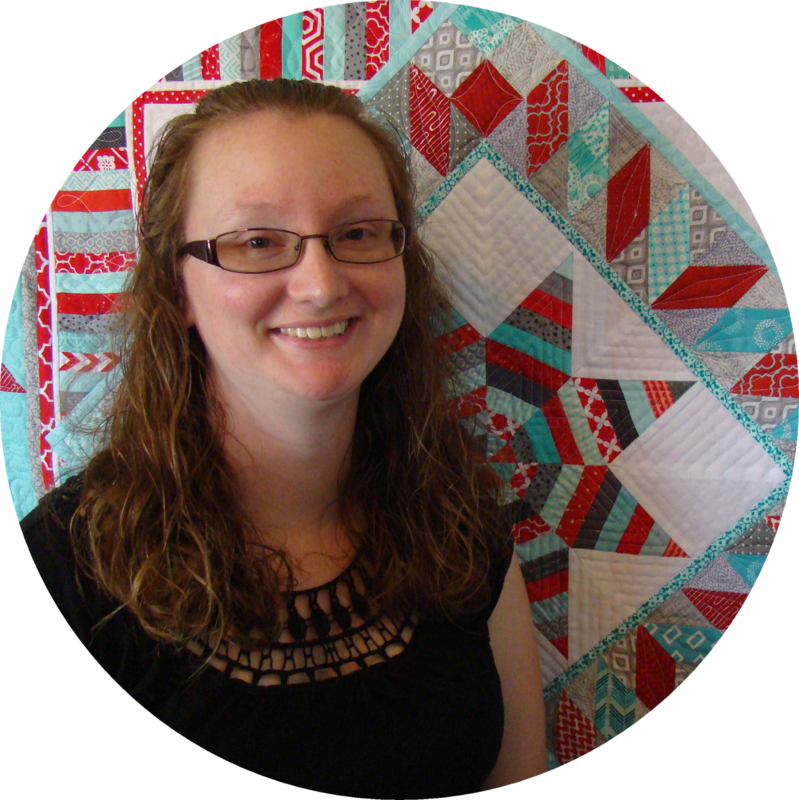 Your final quilt is going to be awesome! Its funny seeing all the pieces laid out and then watch how they come together! 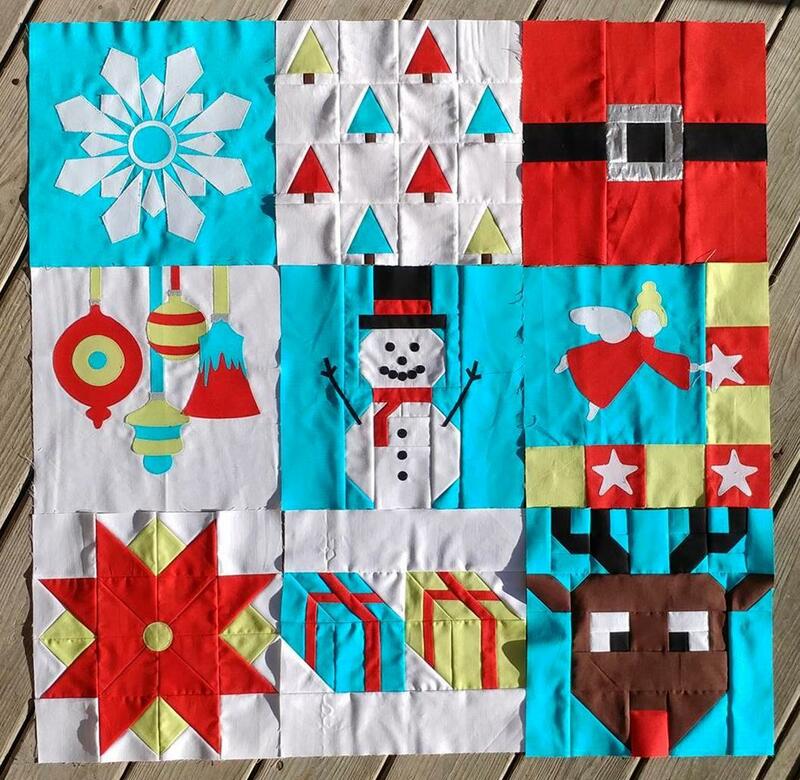 Your blocks are so happy and gorgeous...it almost puts me in to the Holiday spirit! Oh, no! All those Rudolph pieces scare me a little. I'll just have to take it one step at a time.